Q & A: What flash should I get for my new dSLR? Q: What flash would you recommend for my new Canon Rebel? I have always made these crazy wax paper deflectors/reflectors which work with my old point and shoot camera (and would with this camera, too), but since I can now mount a flash on this camera I’d like to:) Jump to quick answer. A: Well, there are a variety of options when it comes to external flashes. First off, you can go with one that’s completely manual or one that is TTL/e-TTL capable (translated as “through the lens,” meaning that the flash automatically calculates the light needed for the scene and adjusts the output without you having to fiddle with settings). Beyond that, you can choose by band/manufacturer. Canon has some really great speedlights out there, such as the 480EX II and the 580EX II However, these can be rather expensive options (especially the 580EX) for the budding or budget-conscious photographer. In this case, there are a variety of third-party options from which to choose. This would be your cheapest option and one that I went with for quite a while myself. Manual flashes give you control over the light output without bringing any automation into the equation (which can be both a benefit and a curse, depending on perspective). There are a ton of great units floating around in the market that hail from the era before digital. The Vivitar 283, an old friend of mine, was known as “the journalist’s workhorse” for years because of its prevalence among news photographers due to its solid construction, bright output, and performance longevity. The one I pull out on occasion is about a decade and a half old but still works like the day it was purchased (hand-me-down from my father, so I would know) without any hint of giving up. I’ve seen these online for as little as $35, although you might be looking at realistically spending $50-$70 for one. I’ve also used an old ’90s model Promaster 7000m that I picked up on eBay for about $30 a while back. While the TTL functionality will not work with today’s digital cameras, its manual settings are great, often being broken out for studio and multi-light setups. So, just because it’s old doesn’t mean it’s junk. Search around, read reviews, and maybe pick up an old manual unit or two to keep on hand as a backup or for larger setups. I’ve gotta give it to Canon and Nikon: although I’ve never used them (yes, shame on me), they allegedly make some great flash units, especially the 580EX II and SB-900. You get high output, full automation, and a piece of lighting equipment that seamlessly integrates with all of the features on Canon’s equipment. But, there is a trade-off for all of this “guaranteed awesomeness” — price. For example, the 580EX II and SB-900 can be purchased on sites like Amazon for approximately $450-$500, quite a chunk of change when compared to other brands available. 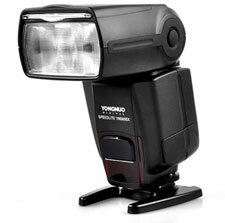 For the non-professional, I recommend that you check out the flashes manufactured by Yongnuo, a Chinese company that has been making a splash with great-quality, affordable flash units. If you’re looking to go with the option that provides the most hands-off/automatic operation, you can chose from the YN-468 model or the YN-565. I have a couple of the YN-468s, and they have worked great, both on-camera as well as in a studio/multi-light setting. The YN-565 is a great unit, from what I have read, made for professional photographers (I really want to pick one up myself), but it would probably be a little overkill if you are simply looking for an everyday or “mom-with-a-camera” flash unit. One drawback, however, with the Yongnuo lineup is that, because of the overseas (read: China-owned) design and manufacturing of these units, there is not always the same quality control standards put in place that you would have with, let’s say, the Canon lineup. There have been complaints of units malfunctioning early on, not working at all, or breaking easily. However, I have only had great experiences with my all my Yongnuo units, and purchasing from a reputable reseller (such as buying direct from Amazon vs. buying overseas) provides greater protection in the event that a unit would break or malfunction. Again, you can go with a Canon-brand flash unit (about $400-$500 for the 580EX II), but the YN-468 and 565 are great units, up-and-coming competitors to the Canon flashes, and are only priced at $110 and $157 (respectively) on sites like Amazon! 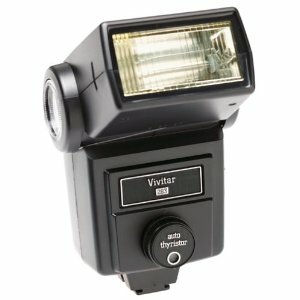 Check out the comprehensive reviews of such speedlights as the Canon 580EX II, Yongnuo YN-565, Nikon SB-700, and more at Speedlights.net! Granted, there are also some other manufacturers out there, such as Nissin, who have a lot to offer and come with some good reviews. However, I don’t think that the price-vs-value factor gives you as great of a bang for your buck. But, above all, shop around, read reviews, test different models if possible, and make your own decision before you purchase. Home » Q & A: What flash should I get for my new dSLR?